The Super Bowl is one of the most high-profile marketing opportunities of the year, yet many official sponsors fail to maximize their investments with digital support like online content and ads. Some even lose visibility in search and social to savvy competitors that pick up interested second screen searchers during the game. 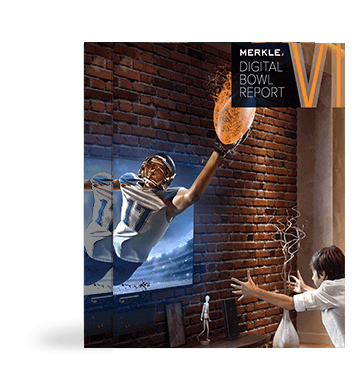 In this report, we evaluate how well advertisers supported their Super Bowl ad campaign across the main digital channels — social media, paid search, SEO, and digital media. Top brands featured in this year's report include: Amazon, Avocados from Mexico, Doritos, Expensify, Mint Mobile, Olay, Pepsi, Planters, Stella Artois, Verizon, and more. As for the winner of the 2019 Digital Bowl ... complete the form on this page to find out who took home the big prize! In our Post-Game Webinar, we’ll review how well the 2019 advertisers ran their playbooks. We’ll highlight specific cases from each channel, providing you with real examples of how brands have best leveraged digital marketing to support traditional media buys.